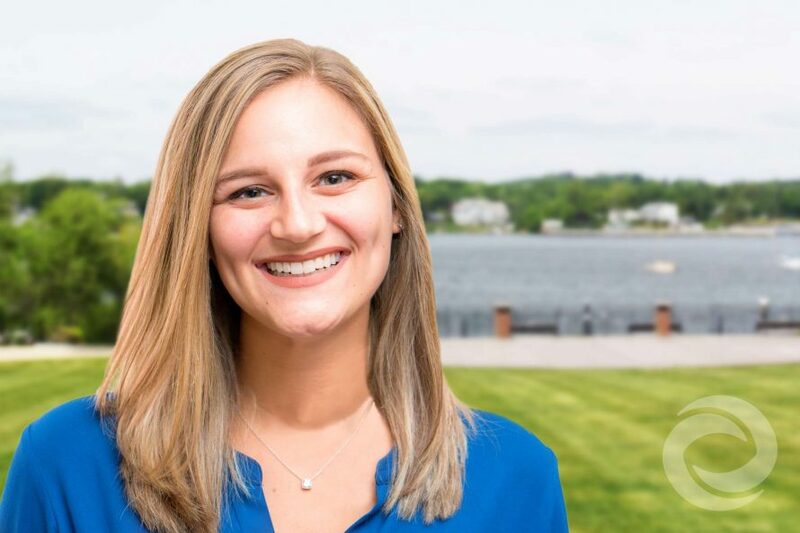 Chelsea Rutkowski has always enjoyed connecting with people and building relationships. She's been in the customer service industry since she was a teenager, so when Hurricane Productions was hiring an Administrative Assistant in 2016, Chelsea was the perfect fit. She first learned about Hurricane years earlier, as they had provided entertainment for several of her friends' Sweet 16s as well as her junior and senior proms in high school. At the time Chelsea spotted our listing, she was a recent college graduate searching for a job. She applied, landed the role, and has been with us ever since. In the few short years she's worked with Hurricane, Chelsea has become an invaluable member of the team. As our Administrative Assistant, Chelsea took care of the day-to-day office operations. She gradually took on more responsibilities within our core lines of business, and in September of 2018, she was promoted to General Manager. Chelsea still helps out around the office, but her priority as General Manager is handling leads, providing client support, and working with founders Vincent and Strato to ensure everything at Hurricane Productions runs smoothly. "My focus is on marketing, sales, and managing all of our contractors," Chelsea says. "I'm always learning something new. I think I enjoy that the most – there is always room to improve on what you're doing and how you're doing it to make it better for everyone around you." As our clients' main point of contact, Chelsea is directly involved in booking and coordinating every single Hurricane Productions event, and even works a few of them herself. Each one is unique and exciting in its own way, but the annual Rutgers Dance Marathon holds a special place in Chelsea's heart. "This is one of the most rewarding events to be a part of, from the planning all the way through the execution," she says. "I look forward to it every year." As Chelsea's role at Hurricane Productions has grown and evolved, so have her relationships with her fellow team members. She loves how close-knit the staff is, and feels that they're not just co-workers; they're friends, too. "Obviously each professional relationship has grown, but we can also hang out and talk about life in general, which is pretty cool," says Chelsea. Like much of our New Jersey-based crew, Chelsea's top off-hours activity is going to the beach, at any time of the year. "To go there walk around and have some quiet time is my all-time favorite thing to do," she says.